ControllerHub 8 is the central hub for a modular control setup. 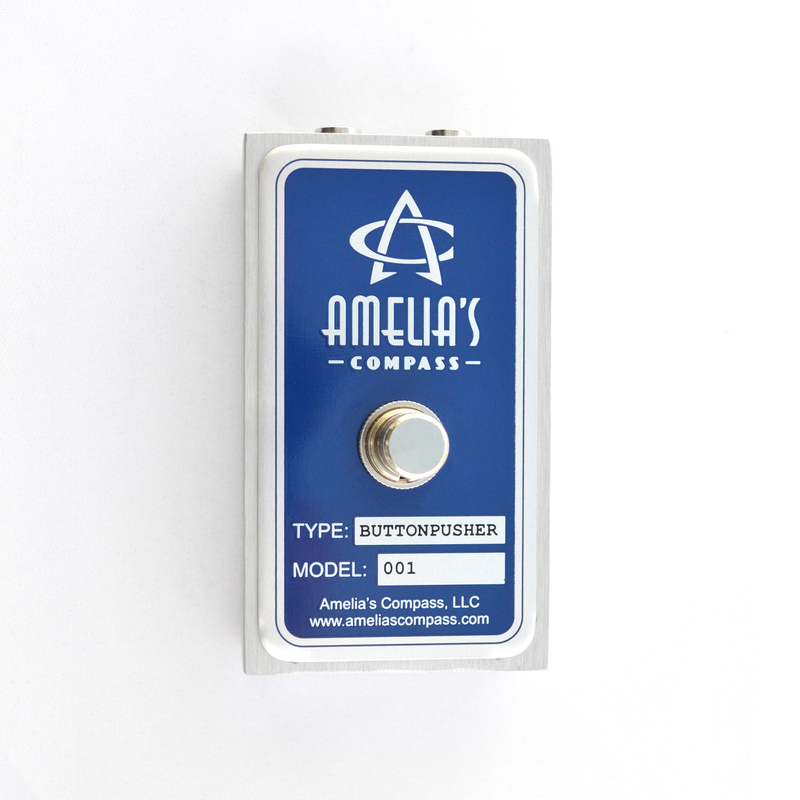 Connect as many as eight of your favorite expression pedals and/or footswitches, or use multiple ControllerHub 8‘s to connect even more. 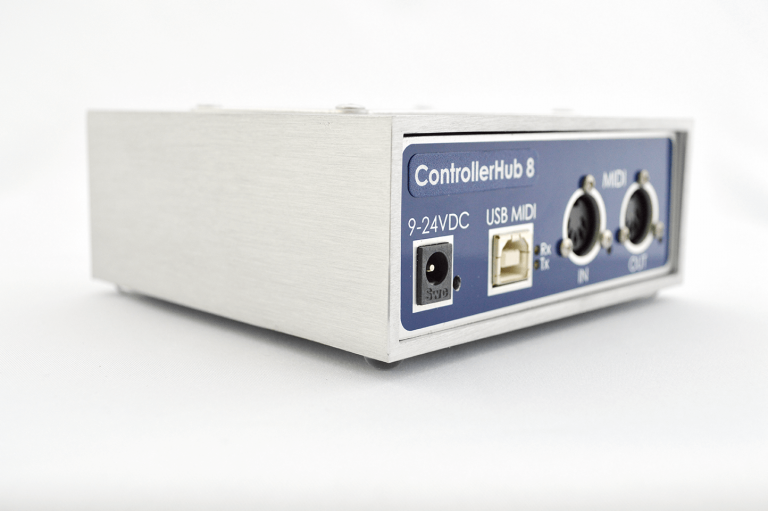 ControllerHub 8 converts your pedal movements and button presses into MIDI message streams over USB and standard MIDI cables. Within your audio software, click the “Assign” button to map these control movements to your desired target parameters. 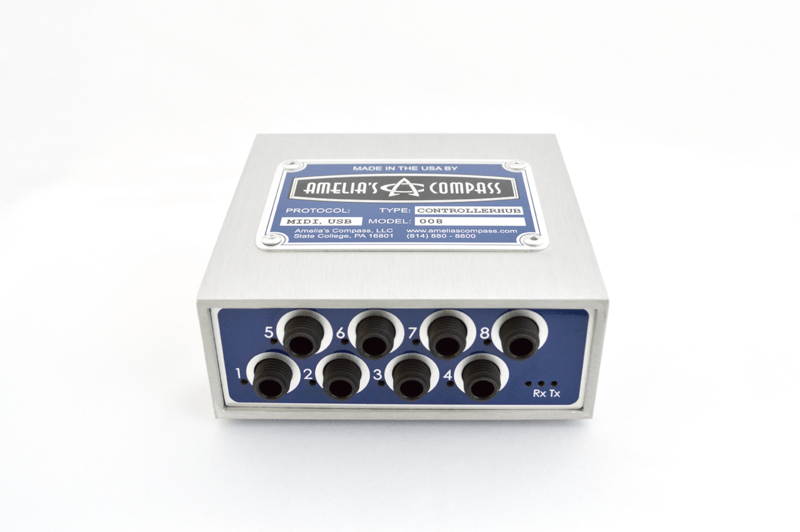 For target parameters in hardware, simply match the Continuous Controller number given in your device’s MIDI Implementation Chart. Appearance: We don’t shrink wrap the unit, because we don’t want to contribute to needless discarded plastic waste. We ship with biodegradable packaging material inside a pair of nested brown boxes. 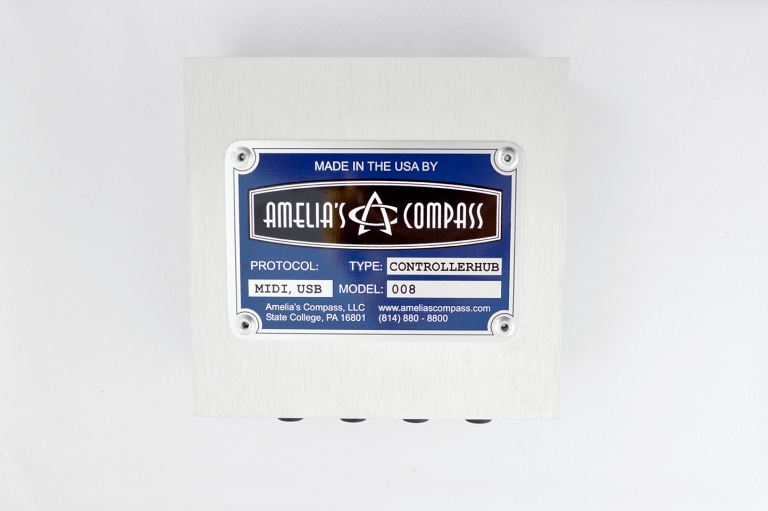 It was also important to us to provide a high-quality enclosure manufactured in the US versus purchasing off-the-shelf cookie-cutter enclosures from overseas. 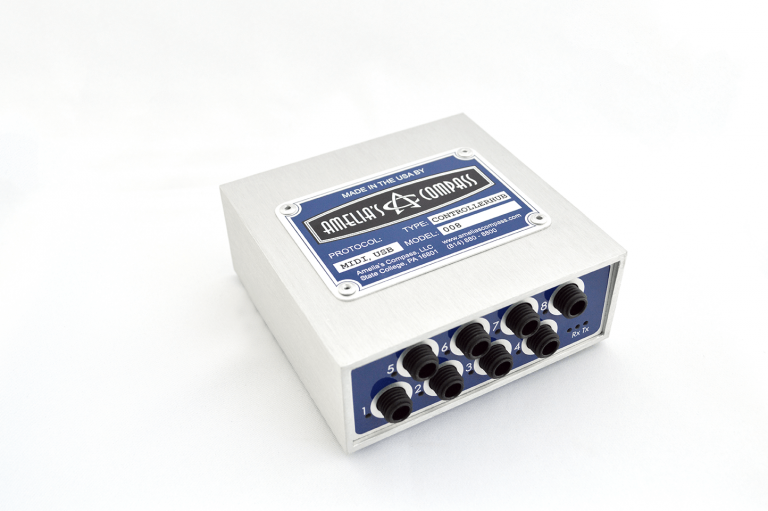 The result is an extremely rugged yet light-weight aluminum enclosure with small imperfections for a true industrial look and feel. 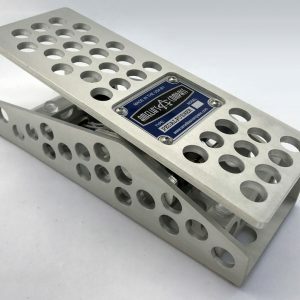 When they come back from the machine shop and powder-coating facility, we even hand-file the sharp edges of the foot plate. We assure you the unit is brand new and will work like a champ in your rig! Click HERE to get all the details on the specs and design, plus info on customizing the parameters.